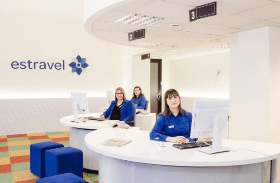 Estravel has 8 offices across Estonia and a Call Center operating 24-hours a day. Our offices are in Tallinn, Tartu, Pärnu, Kuressaare, Kärdla and Haapsalu. We also have representations in Riga and Vilnius. 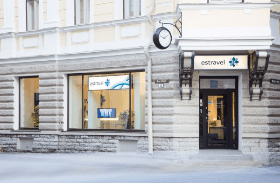 Estravel is the largest travel agency in Estonia and the Baltic countries and has been active on the tourism market since 1988. The strengths of Estravel are its good quality customer service, the high reliability of the company and its outstanding technological solutions. To see the world you do not have to travel far away. We are convinced that Estonia is one of the most beautiful places on Earth: we have beautiful nature and many opportunities for adventures, relaxation and arranging business meetings. We have an extensive range of travel products. In addition to flight tickets, hotels and ferry tickets, a travel consultant can also give additional information and help book different products.